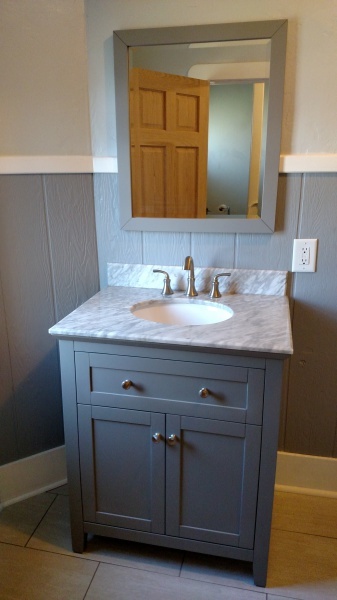 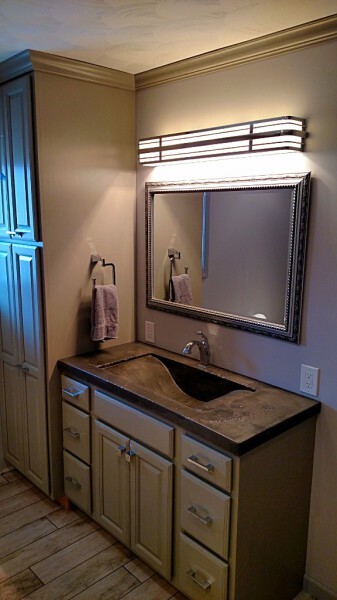 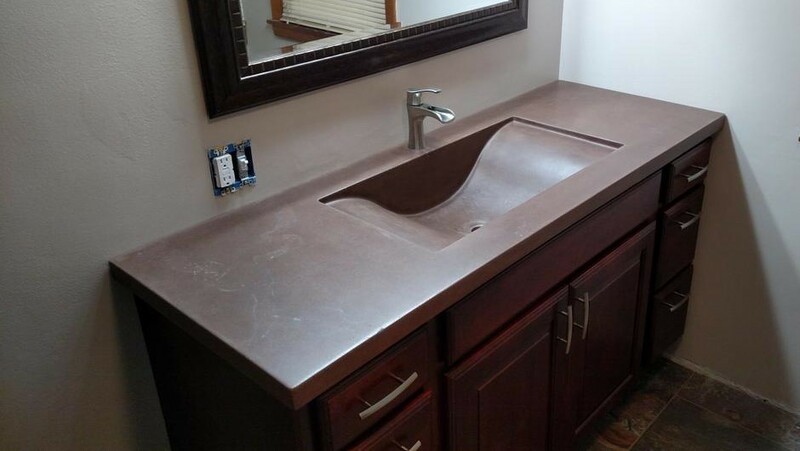 Custom poured concrete bathroom counter with integrated bowl. 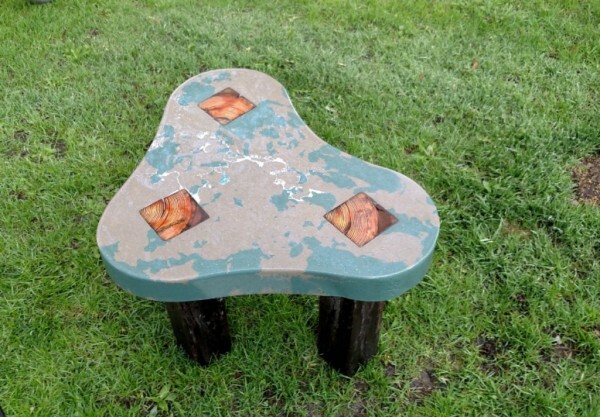 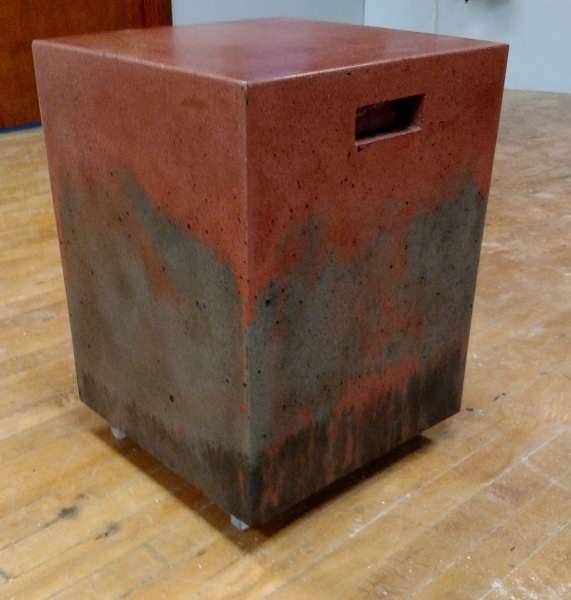 Custom concrete stool- Sealed for indoor or outdoor use. 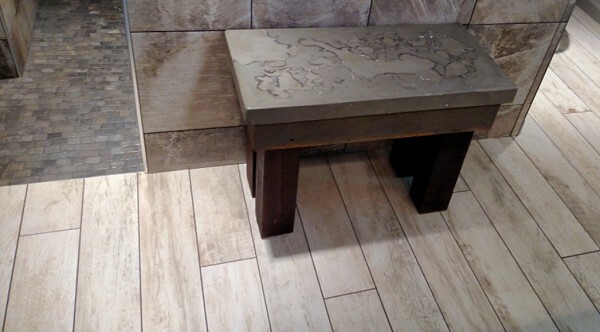 Custom concrete bench with reclaimed wood. 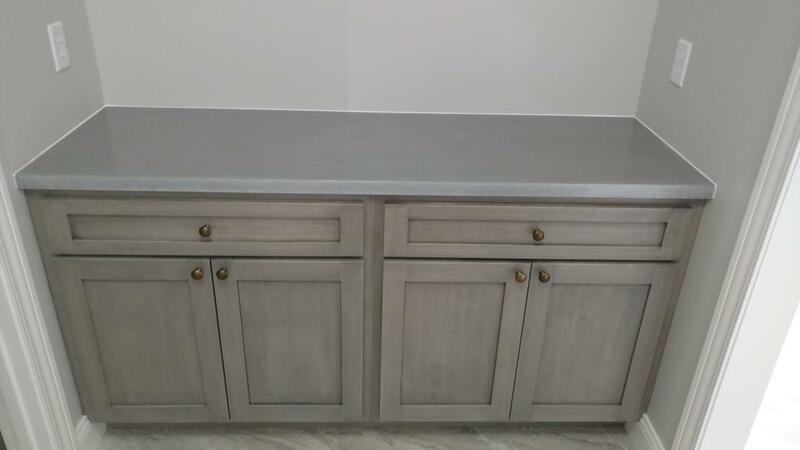 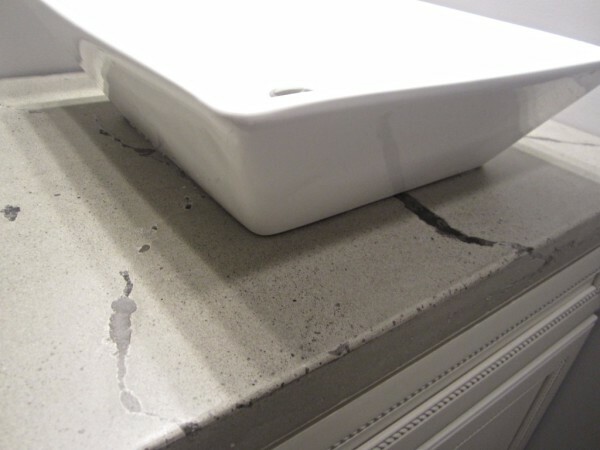 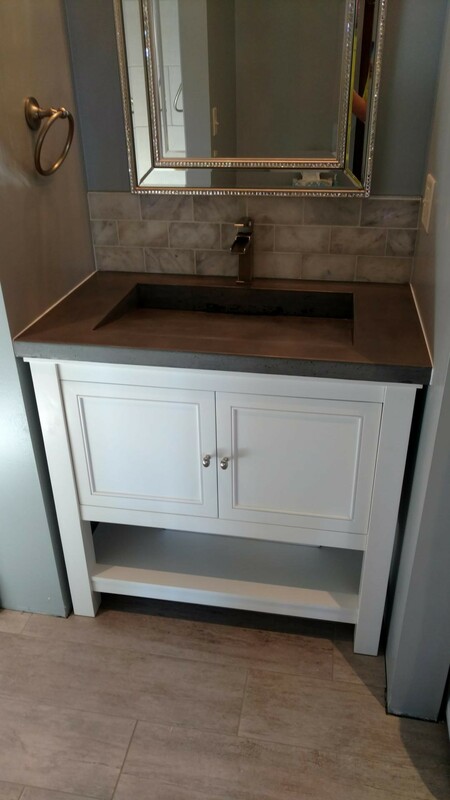 Custom poured concrete counter with square vessel sink. 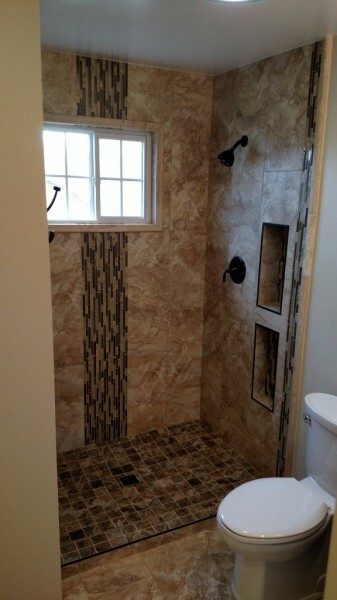 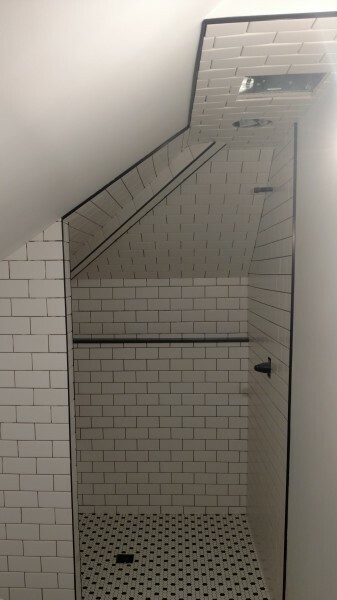 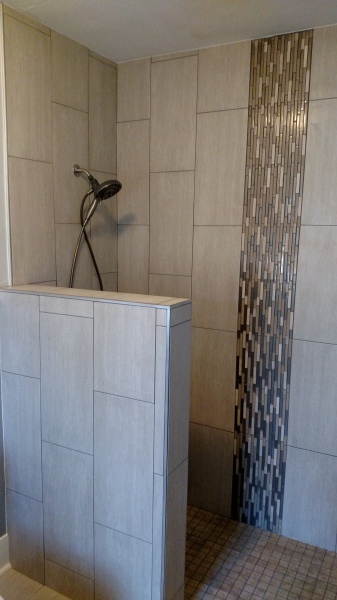 Custom tile in a walk in shower. 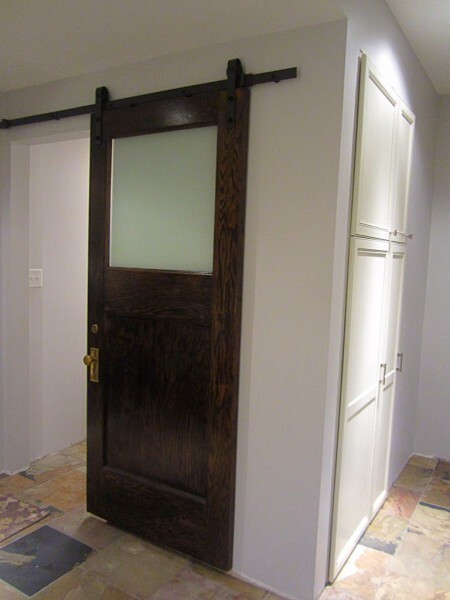 Vintage door repurposed as sliding door to half bathroom. 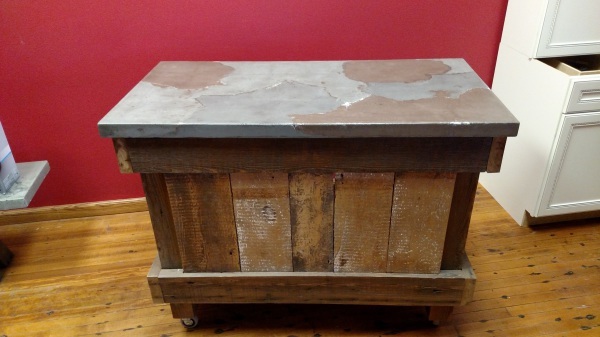 Bar cart made from reclaimed wood with concrete counter top. 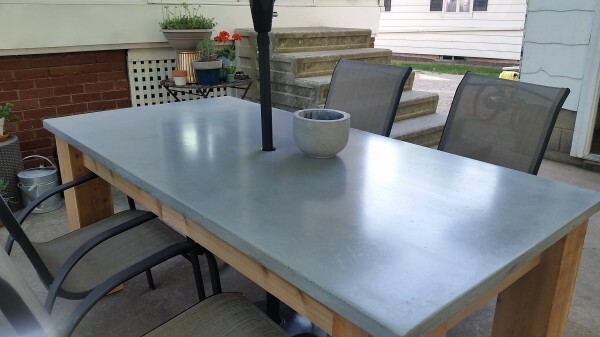 Concrete Stool made with reclaimed wood & gray & turquoise concrete. 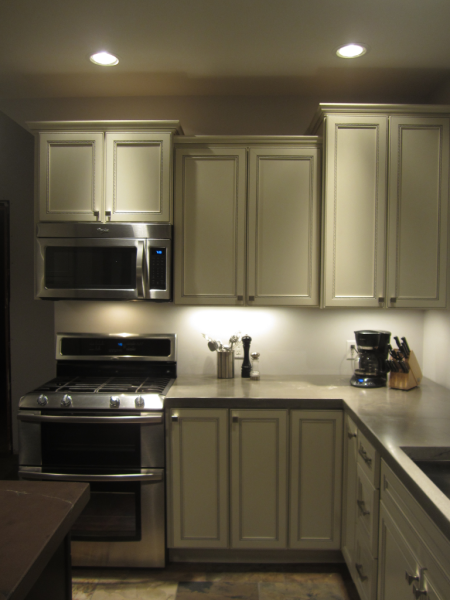 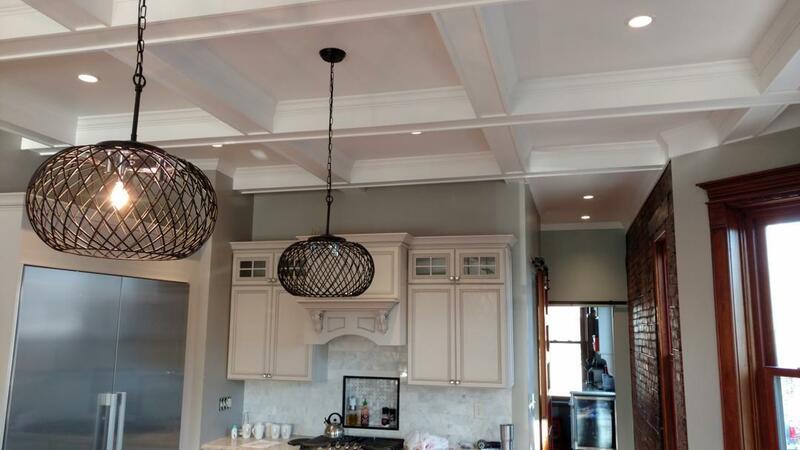 Complete kitchen remodel with coffered ceiling- beautiful! 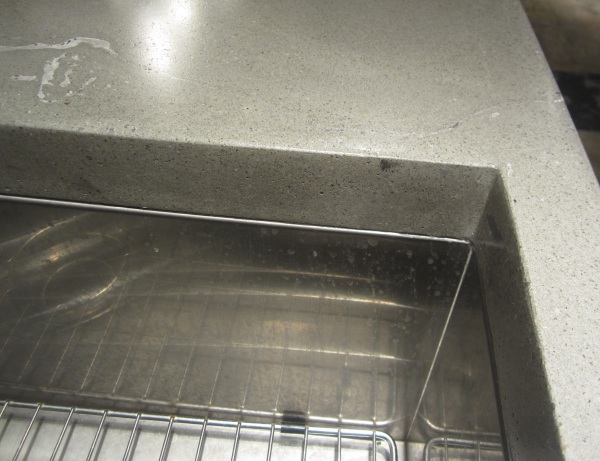 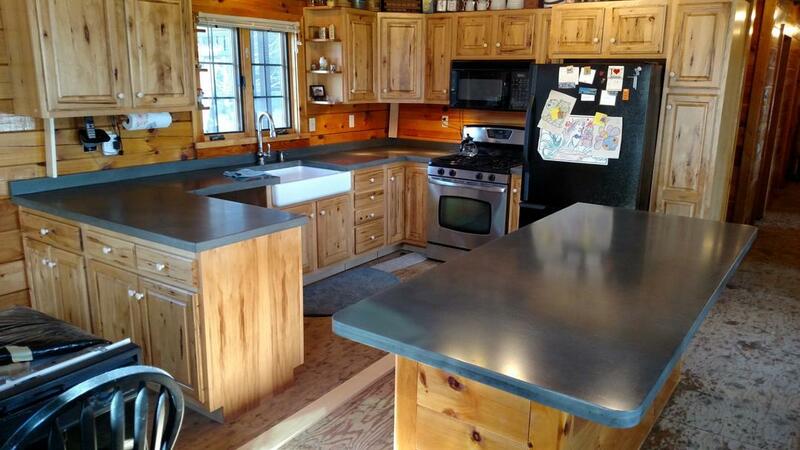 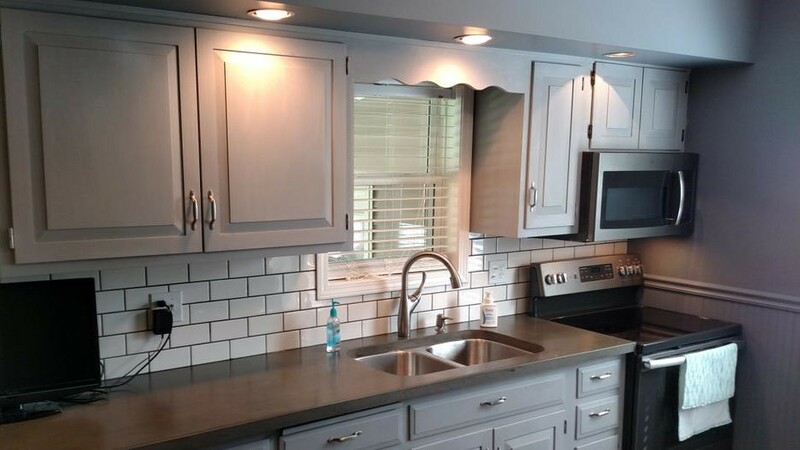 Concrete tops, subway back splash gave this kitchen a much needed lift. 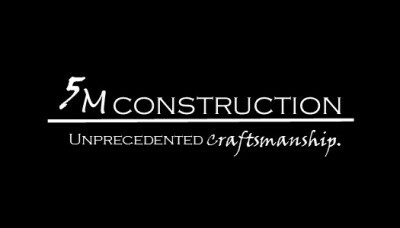 Talk to 5M about how you can incorporate something similar in your next home remodel or building project!